Family Day is fast approaching – Monday, February 18th. It is a time to celebrate families and to think about how spending time together can strengthen our relationships. 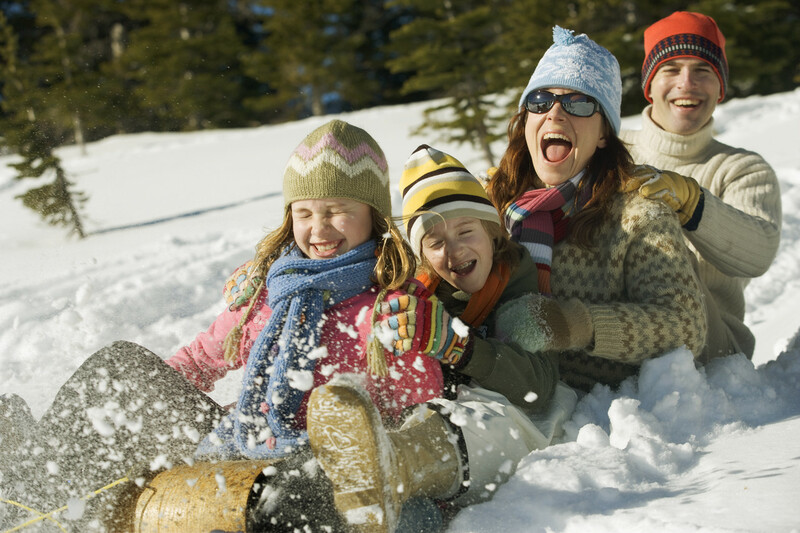 The staff at Carizon has provided a list of winter family activities that are either free or low cost and provide fun for the whole family on Family Day or all winter long. Check out Family Activities in Waterloo Region. Cross-country ski. You can often buy inexpensive used ones at thrift stores or used sports equipment stores and there are lots of trails, parks and golf courses that do not cost anything to use. Go outdoor skating downtown or on a local rink. Check out: skating in Kitchener or skating in Waterloo or skating in Cambridge. Toboggan. (Of course follow your outing with hot chocolate and cookies at home). Play in the snow. Build a snowman or snow forts or snow sculpture. Make snow angels. Play winter outdoor games, like Capture the Flag, or try painting the snow (diluted food colouring in spray bottles)! Make town “houses” using boxes from the grocery store and pack them into the snow so they stay. Enjoy a games night: gather family together to play board games. Charades are fun too. Have movie nights: choose a DVD as a family and watch together sharing popcorn. Establish a “family night” weekly or even monthly and do something together. Keep it fun and up-beat. Visit the Kitchener-Waterloo Art Gallery. Check out their family events. Most of their events are free with a recommended donation if you can contribute. Visit your local library. Kitchener Public Library has numerous programs for families. Waterloo Public Library also has numerous programs for families. Join in some family friendly games, crafts and tours of McDougall’s Cottage in Cambridge. McDougall’s Family Day Café is offering tasty and traditional samples of Scottish treats. Admission is by cash donation. Experience the University of Waterloo Earth Science Museum – open weekdays from 8:30 – 4:30 – no set admission. Try a low-cost outing at Bingemans FunworX Indoor Playland. Take advantage of City events, such as Winterloo January 25 – 27th, or other events scheduled during the winter months. Schedule family meetings: you can discuss goals for the family for the coming year and fun things the family wants to do. Try to include members of all ages. Make up a family fun jar. Find a nice jar or container. It’s even better if the children can decorate the box or jar with drawings of your family or cut out and paste pictures and words from magazines into a collage. On strips of paper, record things you can do as a family that are not costly and put them in the jar. Draw a suggestion and either do it together as a family or plan to do it in the future.